Coca Cola India requested a vending machine for coffee and hot drinks for the Indian market peculiarities, to order in big quantities. 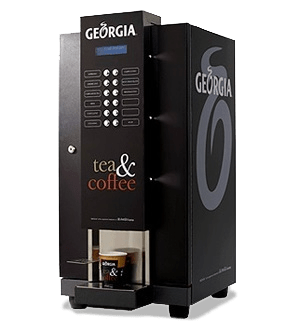 This machine had to be able to supply huge quantities of drink per day, also in rapid sequence and maintaining a stable temperature from the first one to the last supply. We planned many arrangements to satisfy their request and to be able to get the certifications required by Coca Cola India. The planning has been influenced by the choice of materials, in order to achieve the food contact certification; also by their country specificities: electric tension, temperature and protection against local bugs.